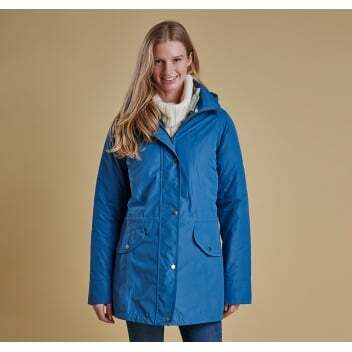 The Winter Trevose Jacket is a waterproof, breathable and stylish jacket. Featuring all of your cold rainy day essentials, including a detachable hood, angled hip pockets and a removable quilted inner. Finished with a drawcord at the waist to allow the jacket to be let in or out according to the wearers fit and finished with a flattering fish tail hem.